gives this delightful island its unique character. 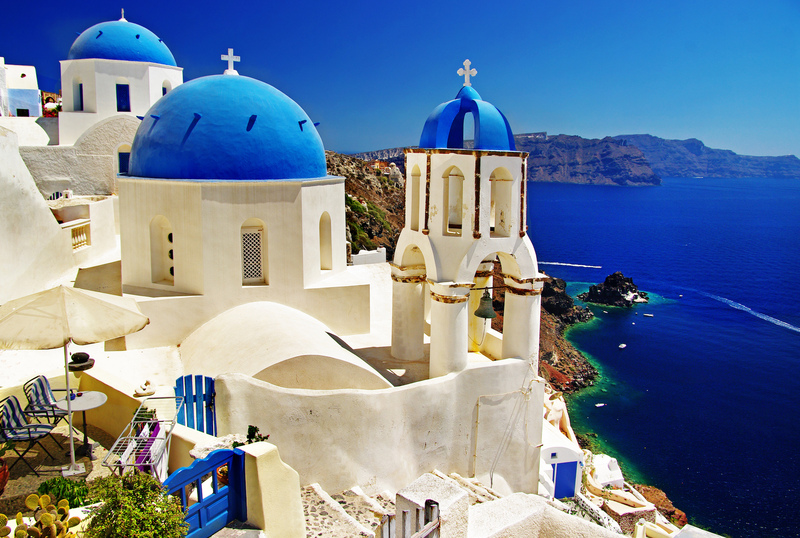 Its capital, Fira, with its whitewashed buildings is perched high above the clear Aegean waters. The steep climb from the landing place up to the city of Fira takes visitors up hundreds of steps, cut into the rock, to the whitewashed buildings perched high above the volcanic crater. 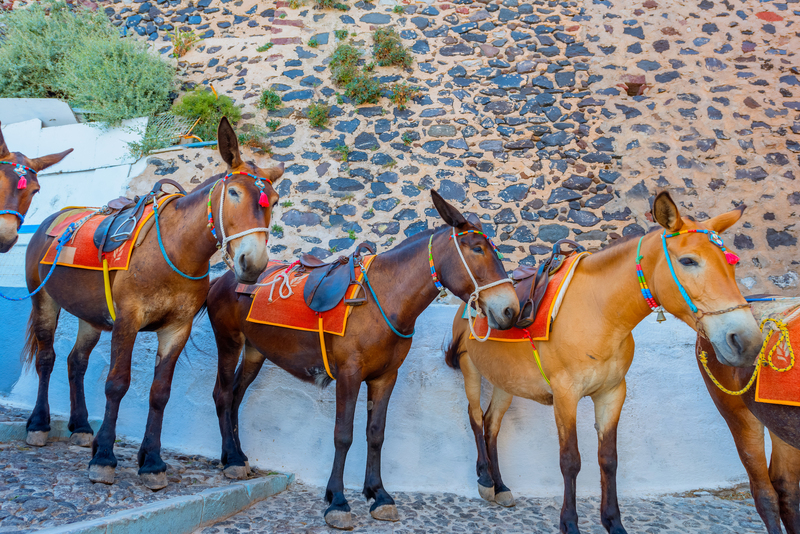 If you prefer, you can take a ride on a donkey, or use the funicular railway. The narrow, winding streets of Fira and the beautiful views are a fitting reward. Look over to the iconic Kamenes, the black stone islands created by the volcanic eruption which took place in the 16th century BC. Whilst you are there don’t miss out on a visit to the fascinating Archaeological Museum. Whilst on Santorini make sure to visit the ancient sites of Thira with its impressive Phoenician, Dorian, Roman and Byzantine remains, and the Minoan site of Akrotiri. Santorini is famous for its dark volcanic beaches, contrasting beautifully with the clear turquoise sea, and boasts a number of laid-back beach resorts, including Kamari, nestling at the foot of the Mesa Vouno mountains, with its long black pebble beach and Perivolos to the southern end of the island, with its charming tavernas and restaurants and dark sand and shingle beach. The traditional village of Megalochori is at the heart of Santorini’s wine trade, home to vineyards and historic mansions. This is the perfect spot for anyone wishing to experience traditional Santorini life. There are regular ferry and/or catamaran services between Santorini and the port of Piraeus (Athens), Heraklion (Crete), Mykonos, Kos/ Rhodes (on set days), Paros and Naxos. 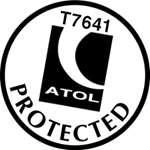 Flights from Santorini to Athens , daily and charter flights to the UK. 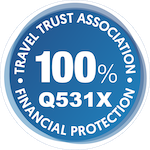 Details of all island transfers will be given at the time of booking or on request, since these vary depending on departure details. This beautiful island is famous for its spectacular scenery, its magnificent sunsets and its fascinating history. Stop off at the island’s highest peak at 567 metres to enjoy striking views, before continuing to the traditional village of Megalochori for a walking tour. Follow this with a guided tour of the archaeological site of Akrotiri, guided by a professional English-speaking guide. Known as the ‘pre-historic Pompeii’ this perfectly preserved settlement was buried under volcanic ash in the 17th century BC. Continue to the red beach, named after its distinctive sand, and then on to the black sand beach of Perivolos, with time for lunch and a swim. In the afternoon visit the Oenotourism centre to taste the renowned locally-made Santo wines. 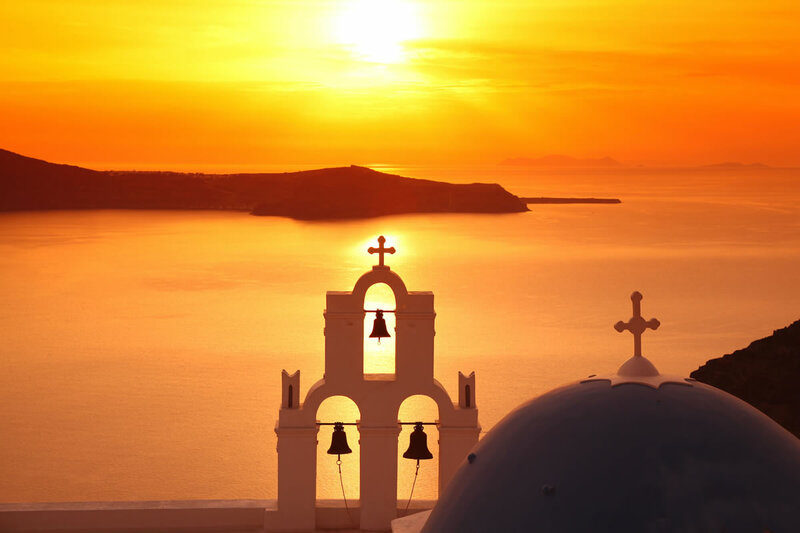 Oia is well known for its breath-taking sunsets, and is one of the most photographed places in Greece. It has inspired artists and poets amongst other visitors to the island. The beauty of Oia is unsurpassed. Small white cave houses dug into the volcanic rock, interspersed by splashes of rich ochre, deep fuchsia, cobalt blue, oyster pink and earthy red. Cruise to see the Volcano & Caldera, Hot Springs, Thirassia & Oia Sail from the Old Port of Fira to the island of Nea Kameni to climb to the top of the Santorini volcano, see the active crater and walk on its rims. Next stop is Palia Kameni, where you can swim in the hot springs created thousands of years ago by the underwater power of the volcano. Sail to Thirasia Island, where you can swim in the crystalline waters or visit the village of Manolas on the top of Thirasia’s caldera. 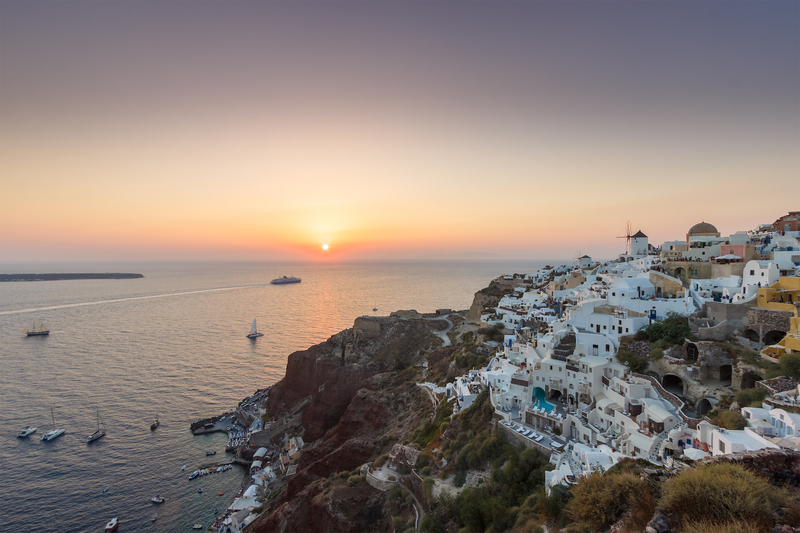 The last stop of the cruise is the small port of Oia where you can visit the village and enjoy the famous sunset.